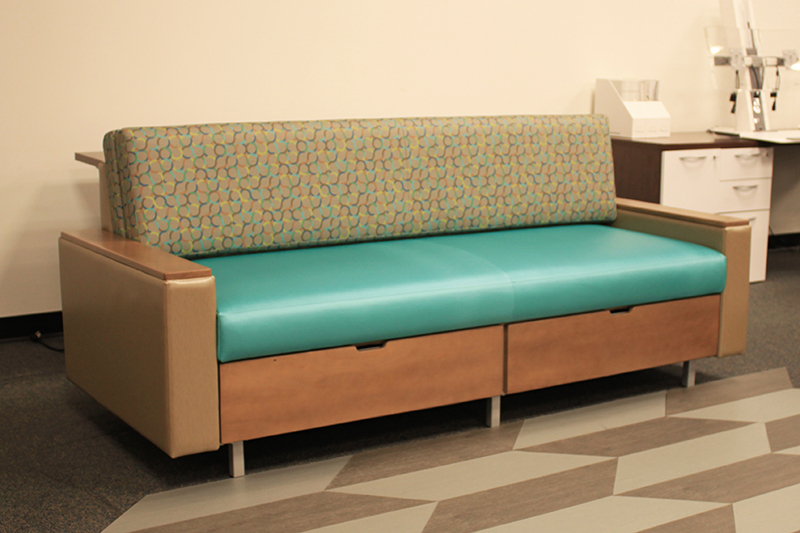 The Kimball Health Villa is the ideal healthcare sleeper sofa for hospitals. Storage drawers, tablet arms, and other additional features make staying overnight comfortable for family and guests of patients. Contact us today for a quote!